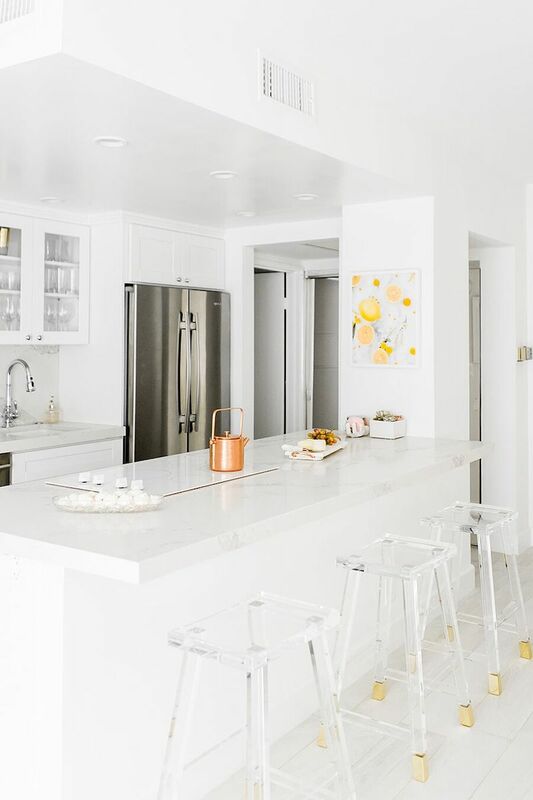 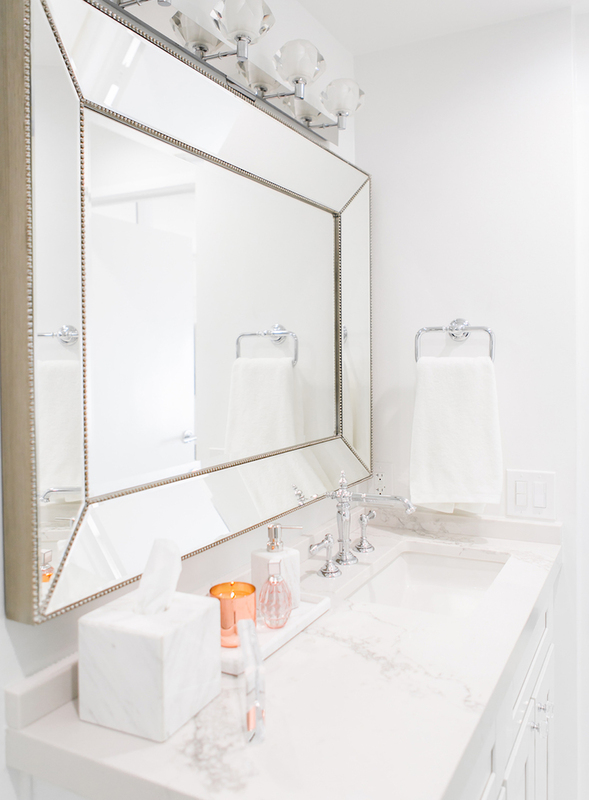 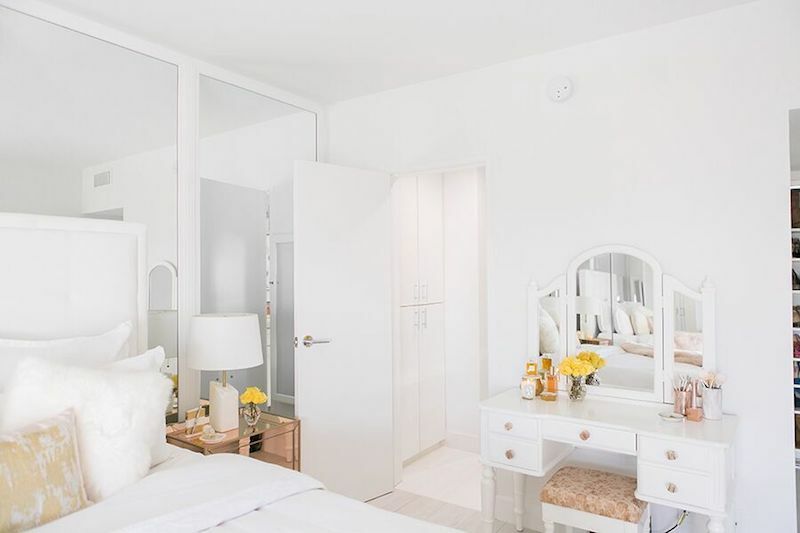 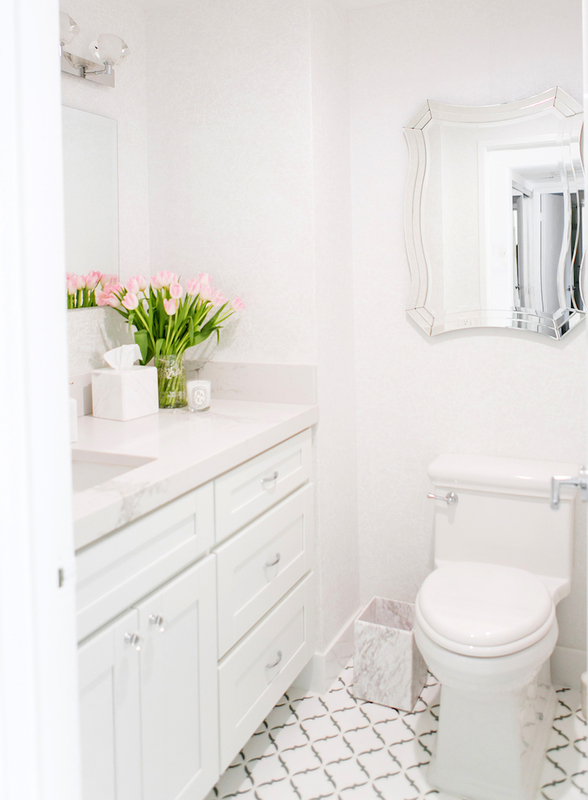 If you loved Marianna Hewitt’s Hollywood home, then I’m sure you’ll be just as smitten with the West Hollywood home of fellow blogger Sydne Summer. 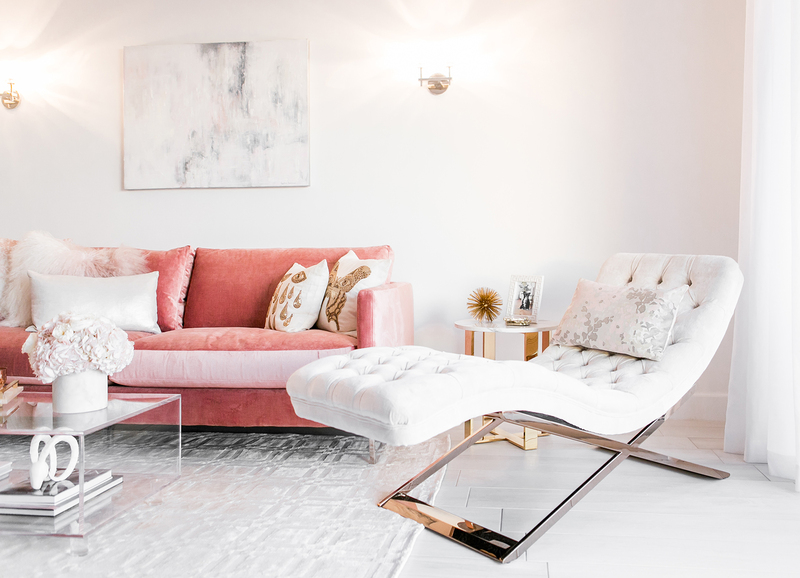 Originally Sydne wanted an all-white decor scheme, but then she slowly started adding metallic accents here and there, and finally, a gorgeous blush pink sofa in her living room. 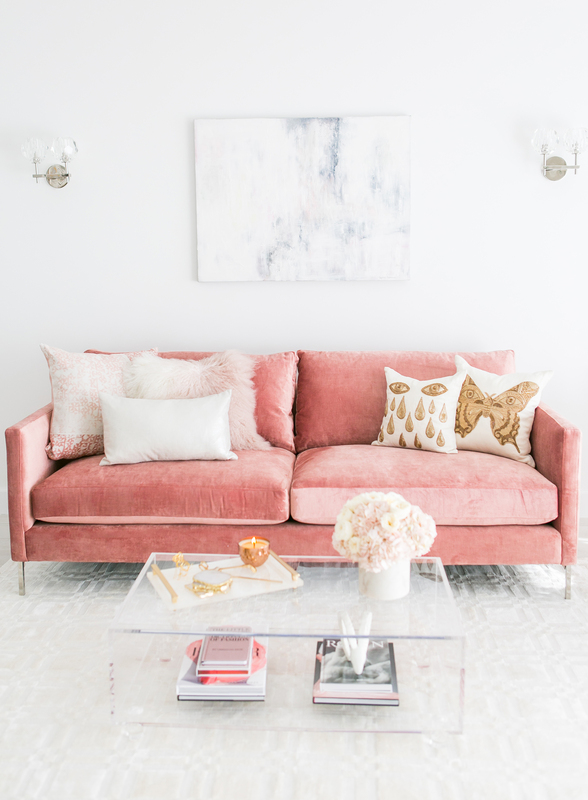 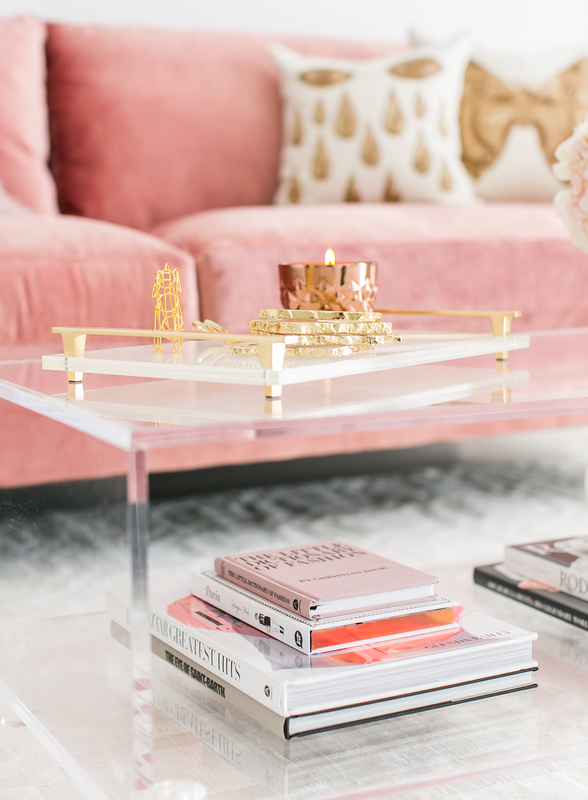 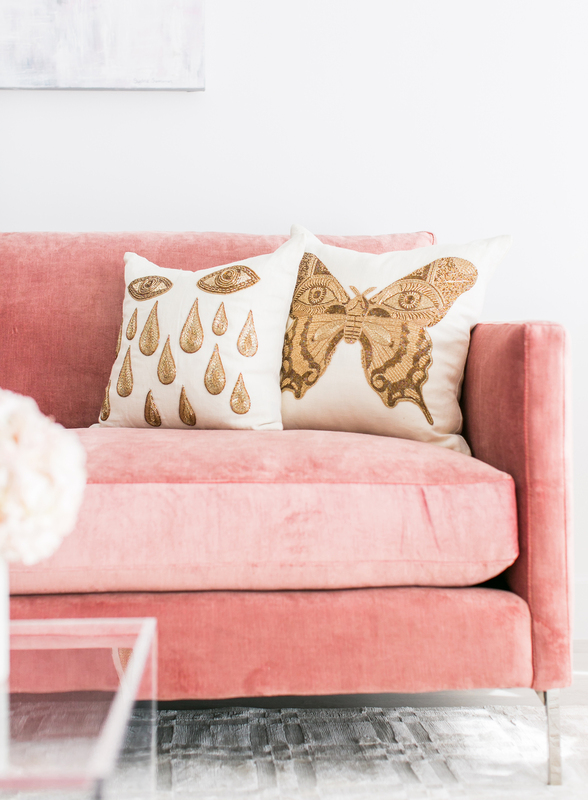 See Also: 16 Ultra Chic Blush Pink Sofas & How to Style Them! 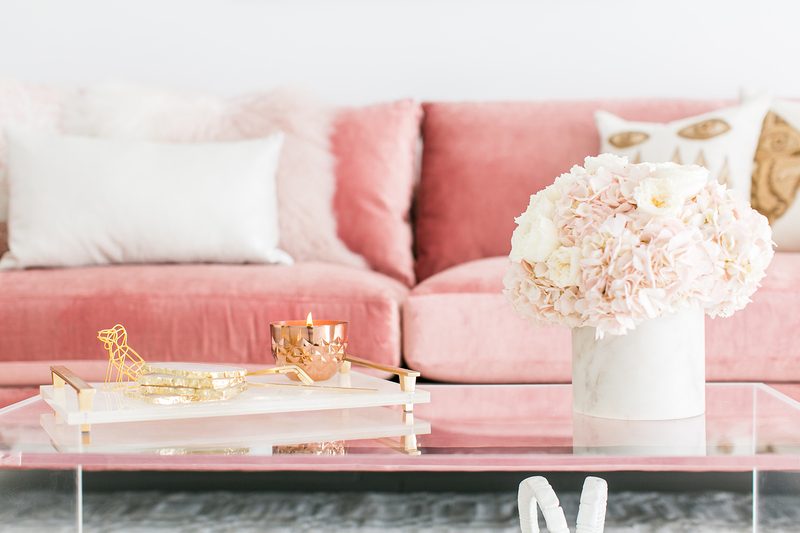 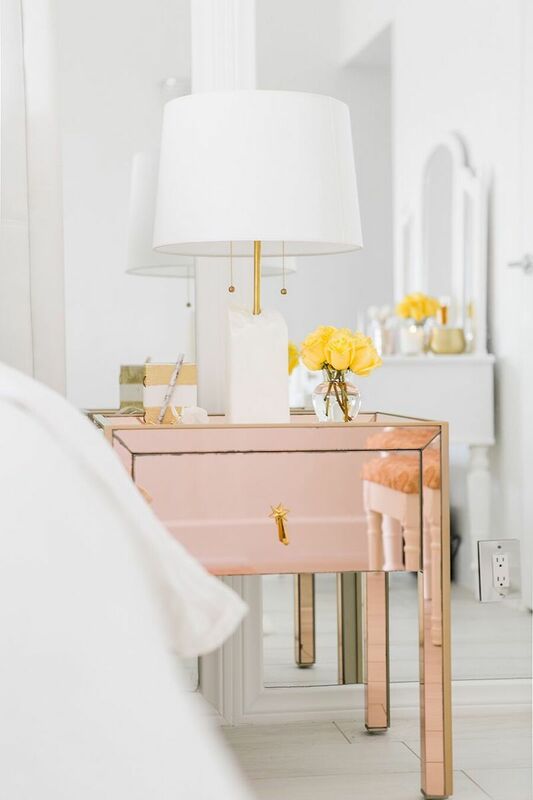 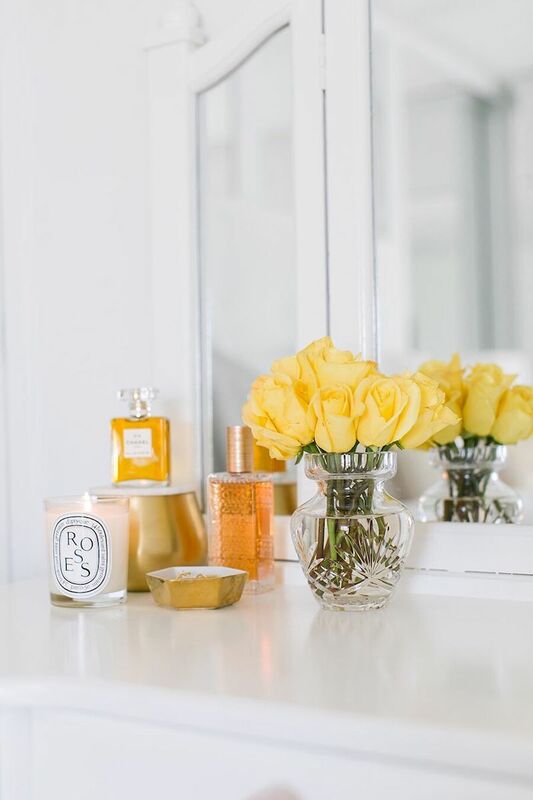 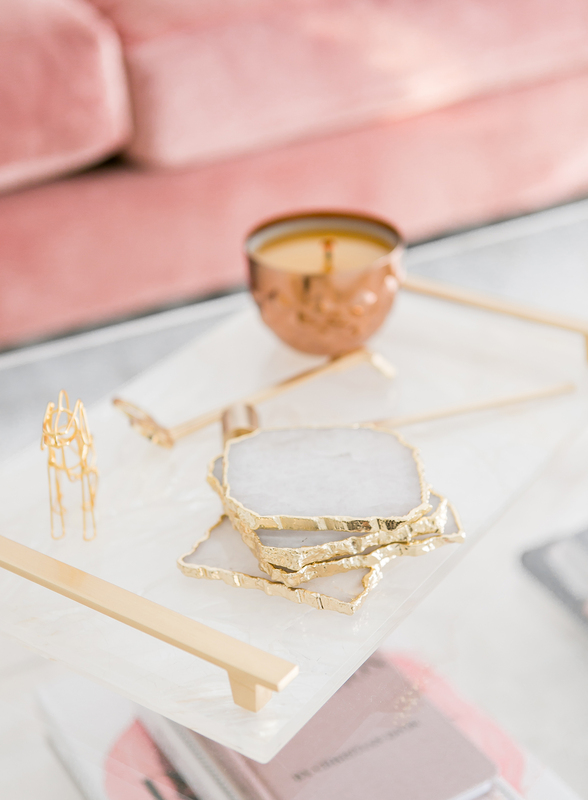 The space is everything you’d imagine a full-time fashion blogger’s home to be – with romantic and feminine accents throughout the space. 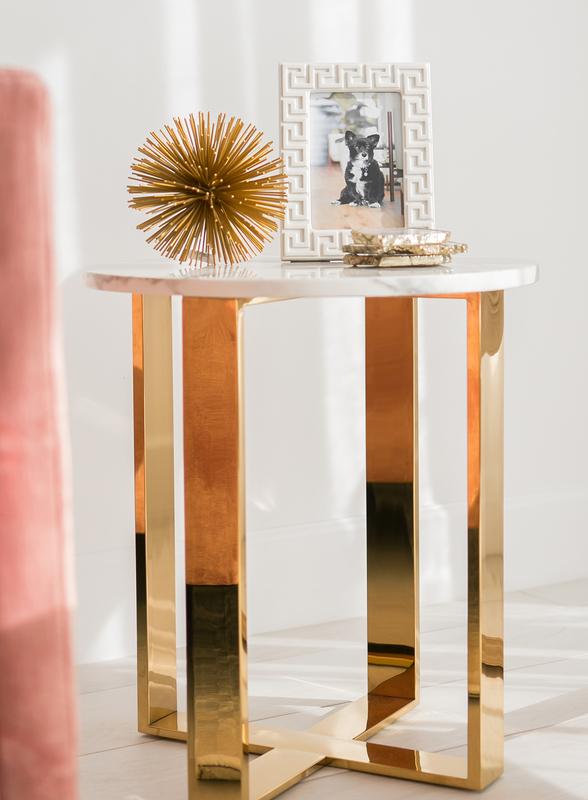 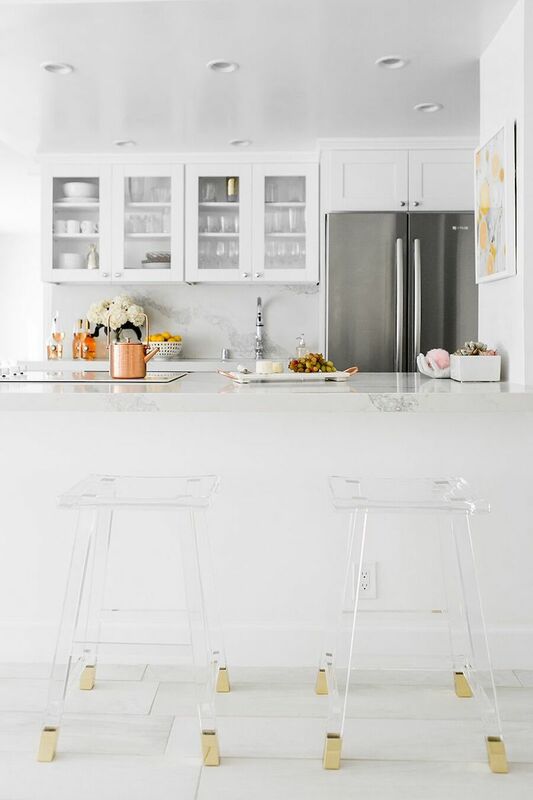 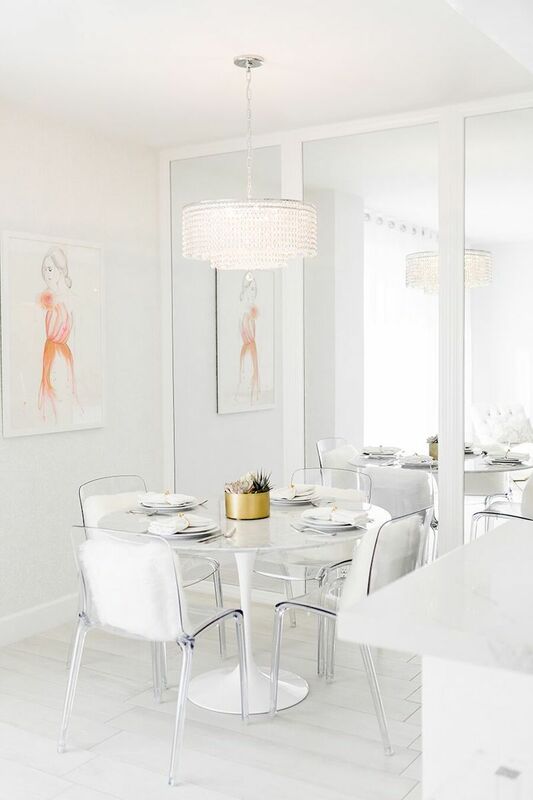 Sydne makes awesome use of lucite furniture (see the lucite coffee table, kitchen bar stools and dining chairs!) 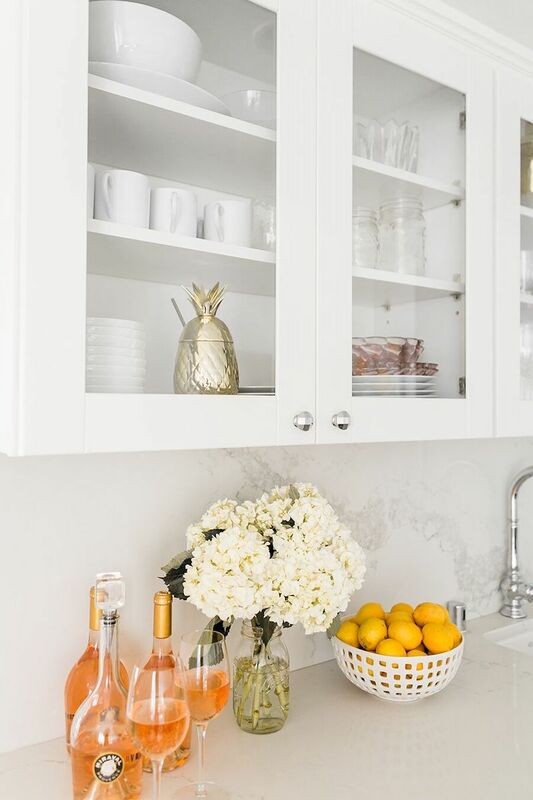 which really show off the decor around them. 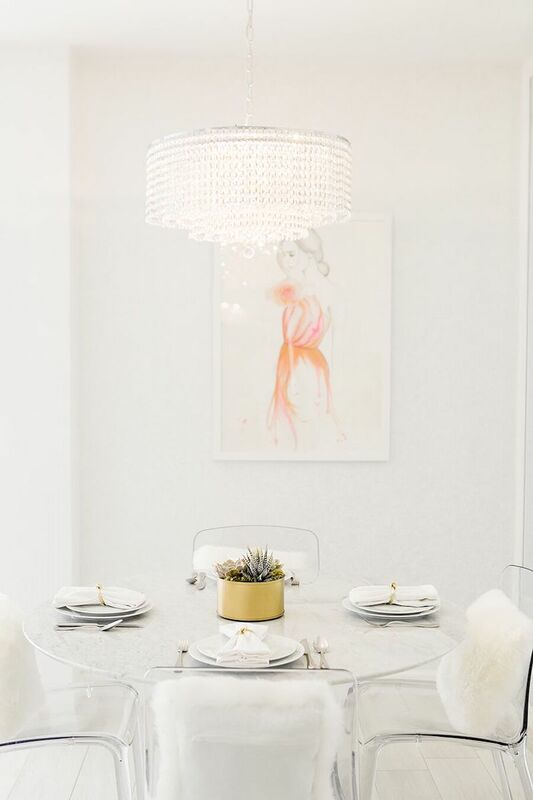 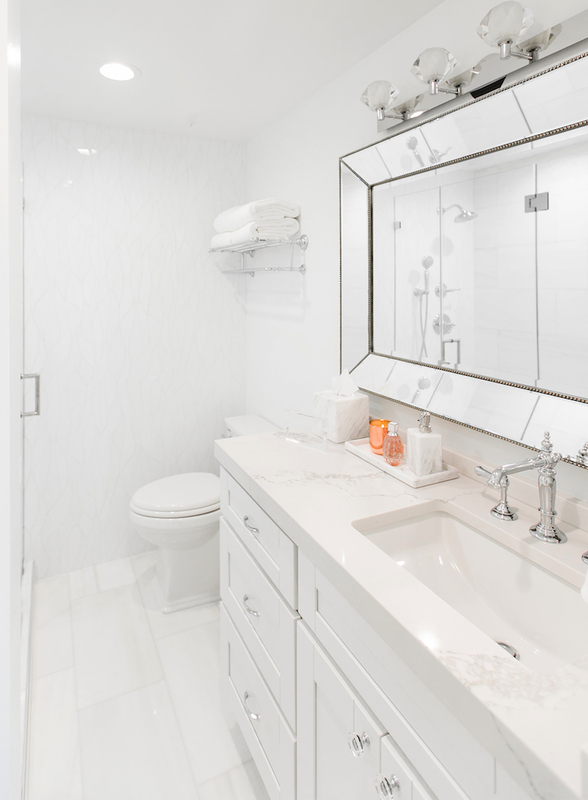 Check out the space below!